Sea to Sky Trail | WANDERUNG! 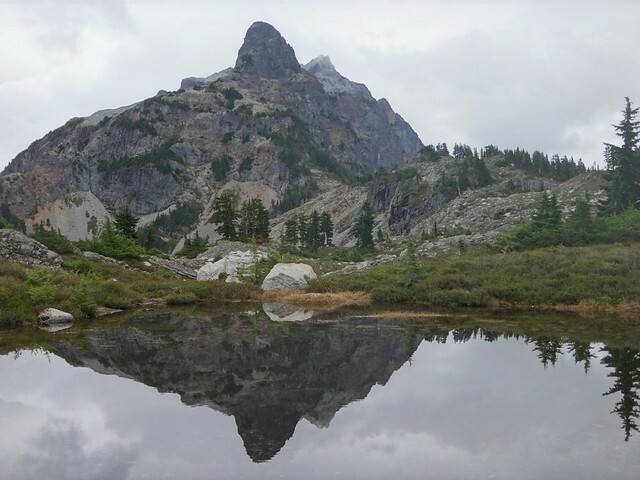 “This ridge is easily accessible from the Sea-to-Sky Gondola, however, we wanted to hike up all the way from the parking lot. The Sea-to-Summit trail was mildly crowded on this fine Labour Day, nevertheless, once we turned to the Shannon Basin trail, the crowd vanished. The initial portion of the Skyline ridge trail is not too inspiring, as it follows a logging road for the first 2.5 km. Thankfully, the trail becomes really enjoyable once it leaves the road. It took us under 4 hours to get from the parking lot to the end of the “official” trail (~1200 m elevation), and then we proceeded for another hour through a pleasant forest along a less-marked trail till we finally reached a plateau at the junction of the Skyline and Goat Ridges. Now it was picture time! On the way back, it took us about 2.5 hours to hike down to the Summit Plaza. That left us plenty of time for a quick beer on the deck before taking the gondola down. Some stats: elevation gain ~1600 m, total distance: ~23 km.